Motivated by a desperate need for a judgement-free space to explore issues relating to bi-identity, the Bi+Ireland Network was born. Here some of the members talk to Ciara McGrattan about inding acceptance and promoting visibility. 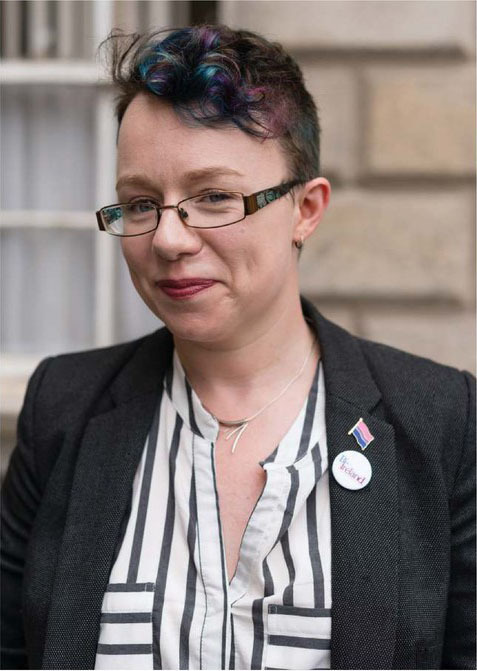 “I founded Bi+Ireland in 2012. I had been facilitating workshops for members of the bi+ community, on bi issues. I started off doing them at in Pink Training [collegiate LGBT+ training event] and there was a demand for them at all different universities. What I noticed was that there were a lot of people involved with LGBT societies who had never knowingly been in a room with other bi people. A lot of the time you’d see people come into the room, look around and say, ‘Oh! You!’ They’d have known each other and been involved LGBT+ societies together, but they weren’t out as bi to one another. It led me to be really aware that there was a problem where members of the LGBT+ community didn’t feel like they could be out in LGBT+ spaces.